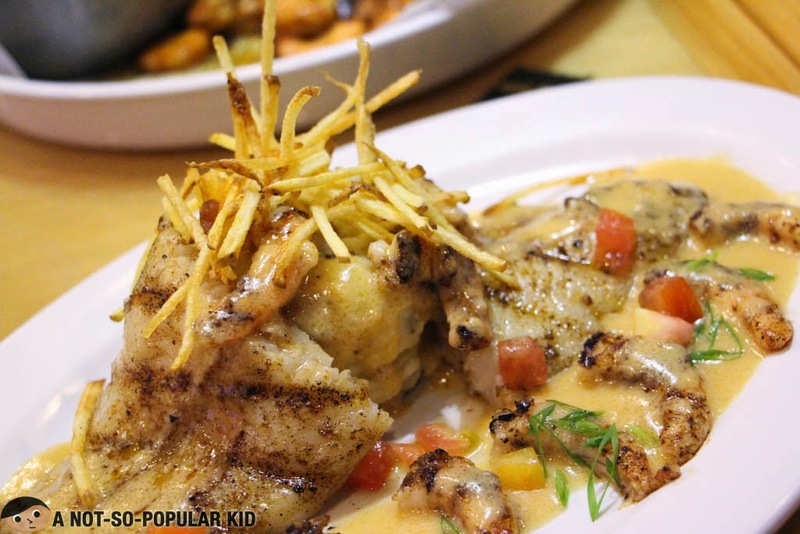 I'm writing this full of frustration because I just lost the note that contains all the necessary information relevant to this blog post, including my opinion on each of the dish we had. However, the reason why I am starting this post with this is because I want to simmer down a bit, and just reflect on this unfortunate event. With this, I'm making myself believe that this situation is teaching me to be more organized with my papers and documents, so that something like it will not happen anymore (or at least will occur at a lower probability). I'm also convincing myself that I am still considerably lucky because this note, albeit important, is not a matter of life-and-death. Yeah, things could have been worse, but thankfully it wasn't. Alright! 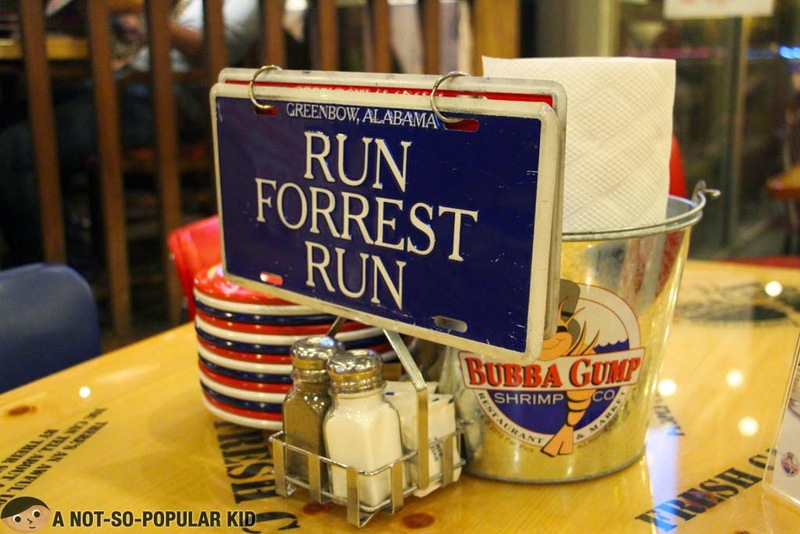 Now that I've flushed out the negativities within me, let me start with the true topic of this blog post - Bubba Gump Restaurant! Note: I'm writing this from memory, and hence I may not accurately remember the taste of each dish. 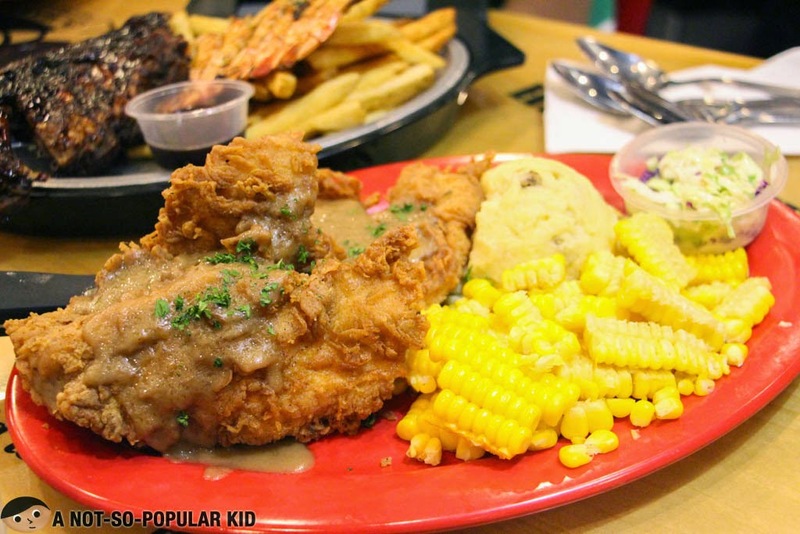 July 11, 2014 was the day that my brother and sister celebrated their nth birthday, and this is the reason why we ended up eating here in Bubba Gump Restaurant in Greenbelt! Truth be told, I've been really curious about this restaurant years ago, but I was usually discouraged by my perception of the price (which proved to be correct after this dining experience). 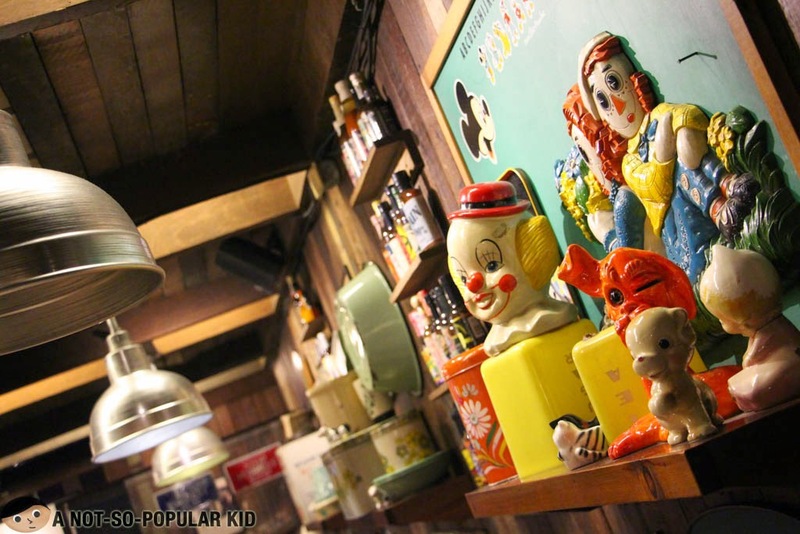 One of the first things I appreciated here in this restaurant is the ornate and cabin-like interior. It made me feel like I'm in a different place. Also, the ambiance is really apt with the cuisine the restaurant is offering. 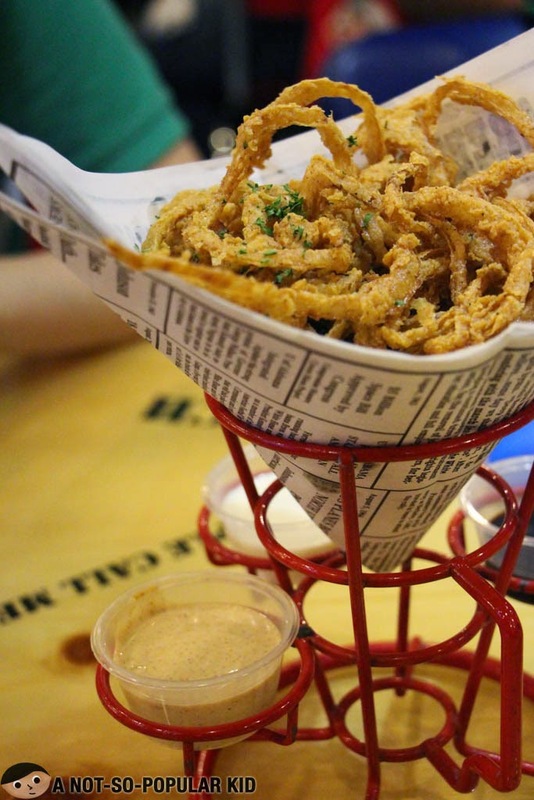 Okay, now that we had some overview of the place, let us now check out some of the dishes here in Bubba Gump, which by the way, has a wide menu selection. Since it was a celebration, I decided to have a special drink that day. 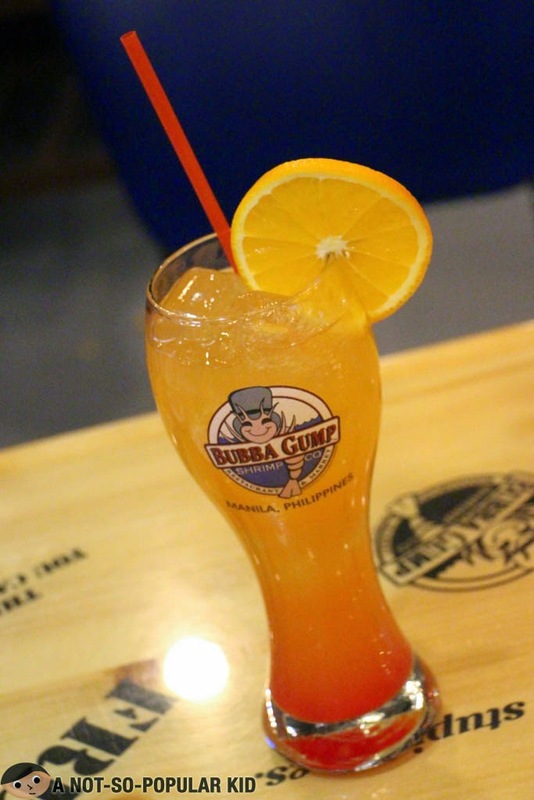 I chose this Sunburst Specialty drink which was refreshing with its prominent citrus taste. Of course, the alcohol made the drink interesting. 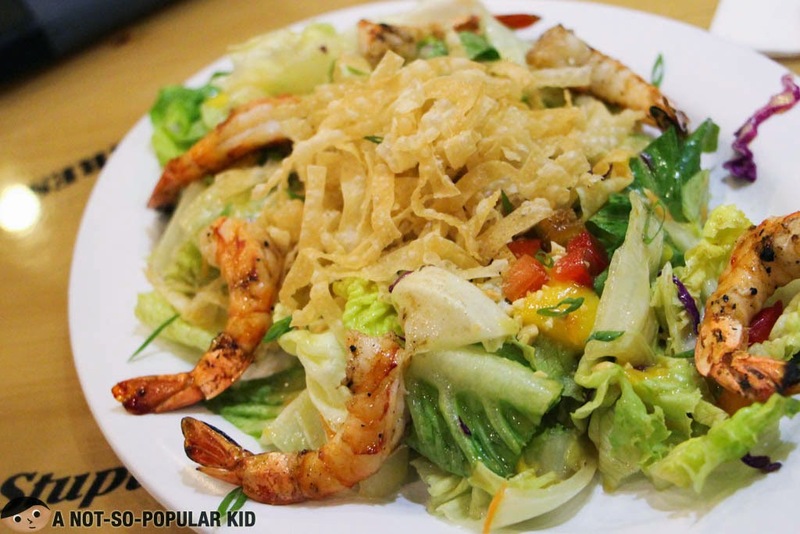 We wanted to try as many dishes as possible for some foodie exploration; hence, we chose this dish for our appetizer. Unfortunately, we had an awful mistake. Not only was this dish expensive but also "considerably ordinary". The taste of each component of the sampler was extremely predictable with nothing new to offer. If this sample happened to be reasonably priced, I wouldn't complain much about it. However, it costed almost P700, and I felt like we were robbed. This appetizer was one of the few dishes I was able to enjoy here in this restaurant. I just loved the concept of the dish! 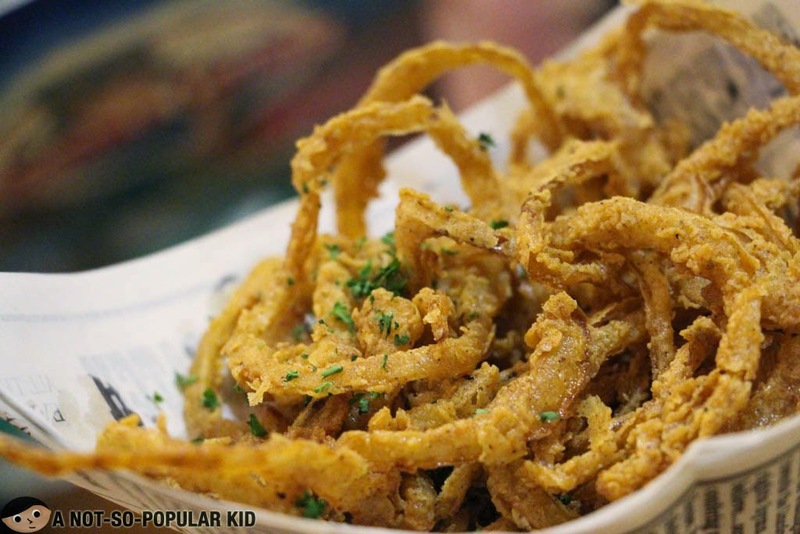 It was a first for me to try onions the frizzled way instead of the traditional rings. Plus, the three dips that came with it gave me some freedom and flexibility. This salad was the next dish that I enjoyed because of the interesting sweetness coming from the fruits as well as the great sensation from the taste of the Asian Wasabi dressing. Also, the wonton strip added some dimension to the salad due to the "crunch". Shucks! How I wish I didn't lose the note because I can't remember much about this dish. All I know is that there was something distracting about the taste of the sauce, which made me not fully appreciate it. If in case I suddenly remember it, I'll update this portion. I have the same comment for this Shrimper Net Catch with the Run Across America Sampler. Both of them were just pricey with nothing much to offer. 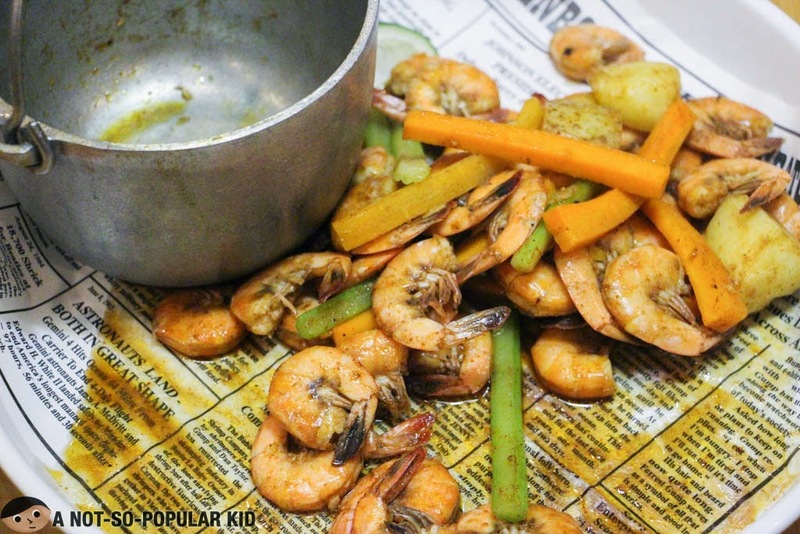 Well, admittedly, the shrimps were really fresh highlighted by the cajun flavor. However, I still believe that the dish wasn't worth the money. 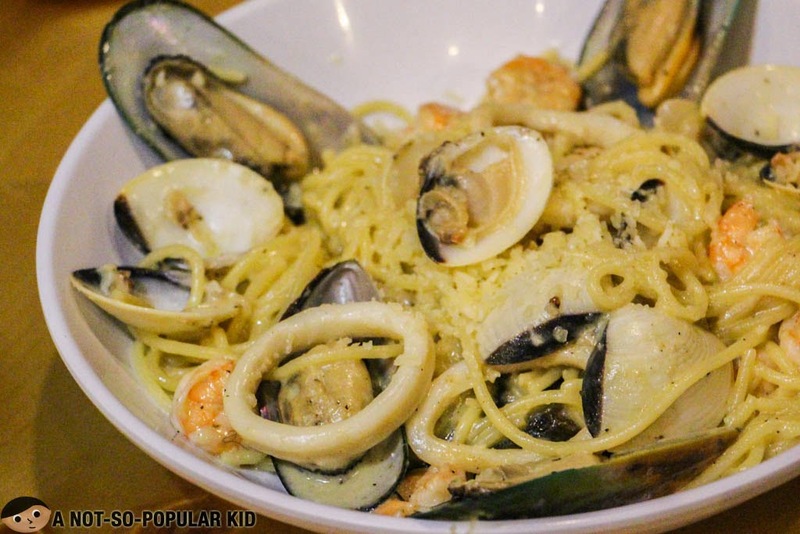 The bountiful Seafood Pasta - a taste of the sea! Although it can still be considered expensive, this Seafood Pasta was something I enjoyed because of the generous serving of the seafood (i.e. 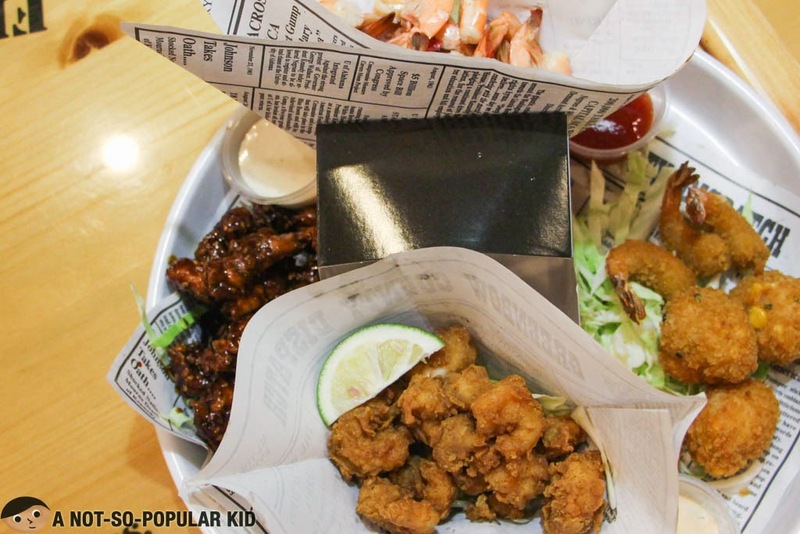 clams, shrimps and squid). 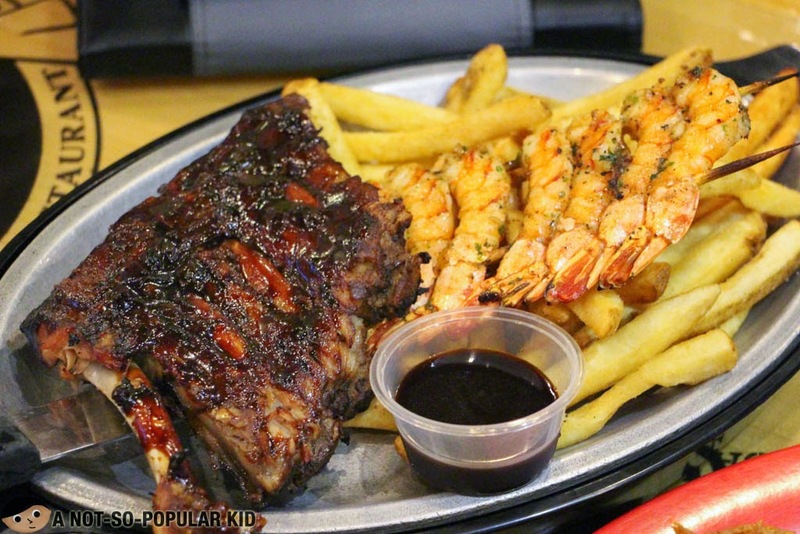 Again, I won't deny that this dish costed us "buckets", but the ribs was really fine with a right amount of spiciness. However, I still believe that there are better ribs out there which are far more affordable. 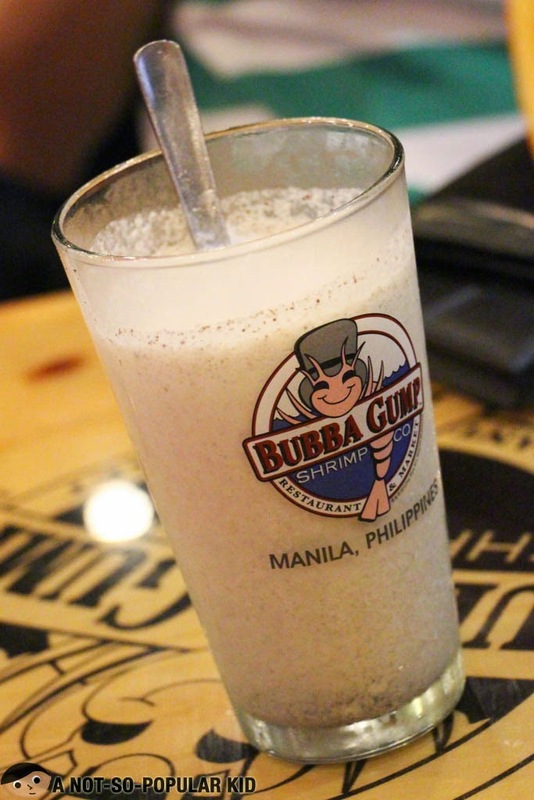 For those who love sweet and creamy drinks, you will enjoy this Cookie Crumb Magic the way my younger brother enjoyed it! 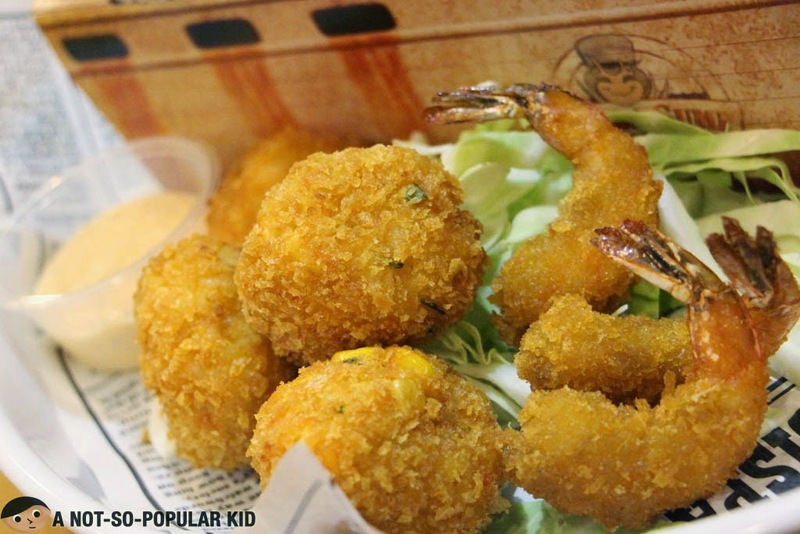 The amazing Seafood Jambalaya of Bubba Gump Shrimp Co. 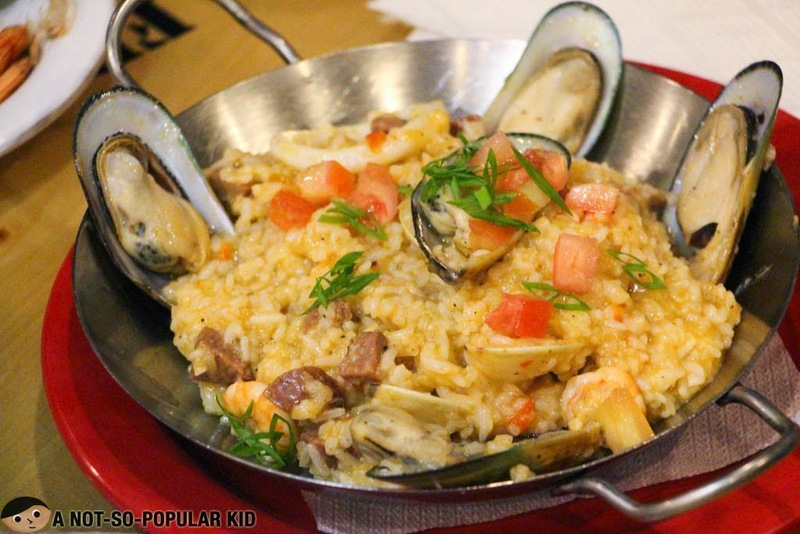 Although pricey for this amount of serving, this seafood Jambalaya is one of the selected dishes I really enjoyed here in Bubba Gump. Anyway, I just love how the Jambalaya offered a bountiful flavor of seafood. Plus, the overall taste (with prominence of cajun) was really potent, in a highly appreciable way. I can no longer remember the specifics of this dish, all I remember is that I also liked this one. However, I asked my sister what she can remember about the dish, and she said that it was just "so-so". There you go! I hope I was able to provide a reasonable food review despite me losing the note, and only writing by memory. 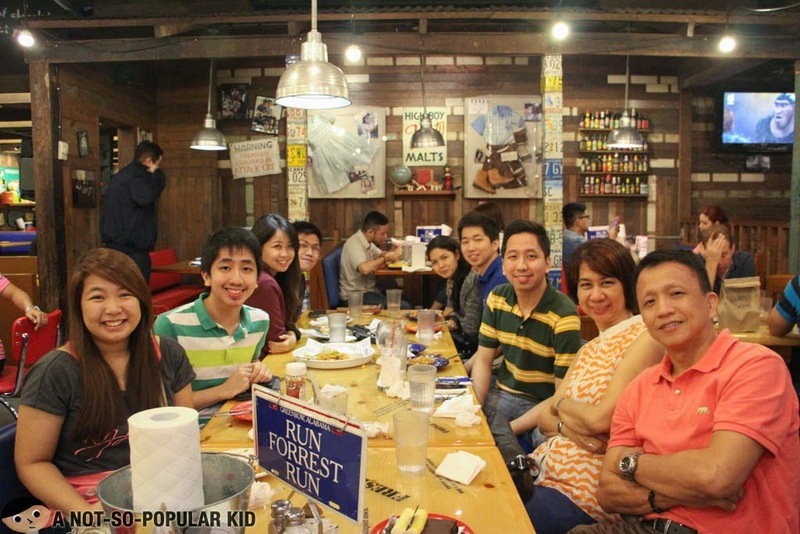 Anyway, here's a photo of me with the family + special persons in Bubba Gump Restaurant. Overall, I wasn't able to fully appreciate the dishes here in Bubba Gump. More than majority of what we had were just either near okay or somewhere slightly above. Well, perhaps we just failed to order the good ones that could have made the experience much better. 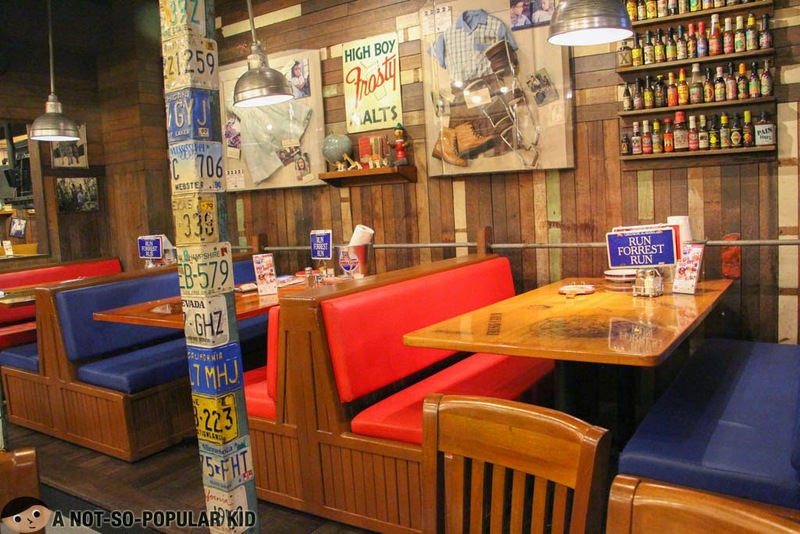 However, despite all these, I must admit that the food served here in Bubba Gump were all fresh and appealing. 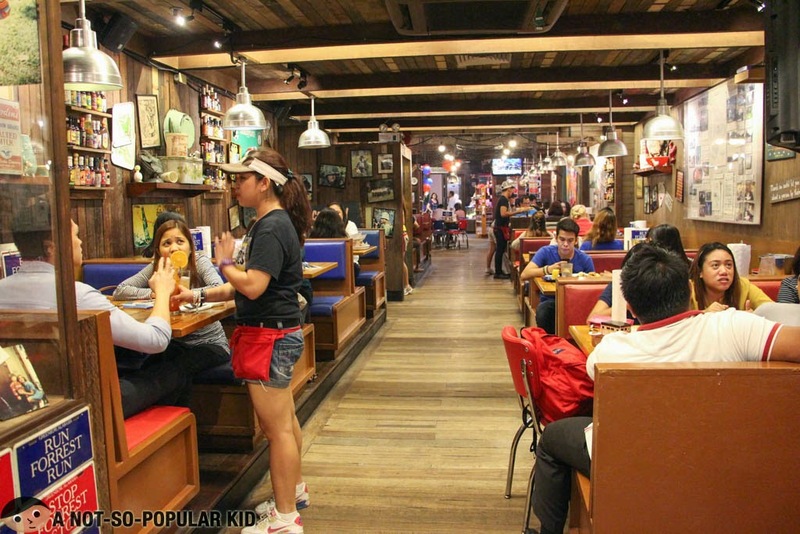 Furthermore, considering that the prices of the dishes are mostly high, dining here in Bubba Gump seem to need some second guessing and planning (i.e. on what to order).